Thanks for making the last two episodes the most downloaded ever! And we’re back with more Zwiftchat and features. Simon, Shane and Nathan kick off with a short discussion on whether too much Zwifting makes you rusty once you get back outside. Then it’s onto dissect the implications of the rider who slipped through a glitch in the matrix and made it onto the obviously unfinished London course extension. The chaps briefly chat through the merits of the Volcano extension then move on to analyse an intriguing statement from the boss of Tacx, Simon Tacx, on their possible plans for a Smart Bike. 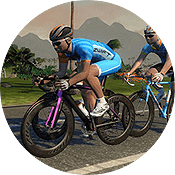 Is Zwift becoming less social as it grows? 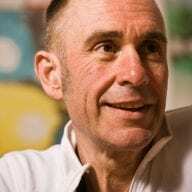 The trio are pretty much agreed that it is and wonder if the growth in teams on Zwift is the community’s way of countering the “big city” feels that Zwift can assume at times. Damon McKay from Team TFC talks to Simon about the community benefits that team membership can bring. Simon has the first of his features from his visit to the Tacx factory – and inevitably, given some of the early difficulties with the Flux trainers, there’s a big focus on the company’s QC processes. Finally, veteran Zwifter Chad McNeeese explains his seemingly counter-intuitive decision to “downgrade” from a smart trainer to a dumb turbo – and offers hope to Zwifters who may feel shut out of the full experience if they can’t run to an expensive smart trainer. The chaps finish off with a look ahead to upcoming highlights on the burgeoning ZwiftCommunityLive channel hosted by Nathan.